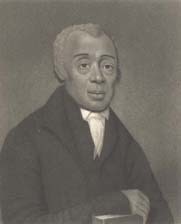 Daniel Alexander Payne, 1811-1893 History of the African Methodist Episcopal Church. History of the African Methodist Episcopal Church. Nashville, Tenn.: Publishing House of the A. M. E. Sunday School Union, 1891. Holgate Library, Bennett College, Greenboro, NC provided the text for the electronic publication of this title.